Baseball's all-time professional home run king, who is in Taiwan to accept a commendation from the Taiwan Baseball Hall of Fame Association, said jokingly that "Japan will be No. 1 while Taiwan can set second place as the goal." The 75-year-old Oh said at a news conference that the focus of his present life is to promote baseball, adding that "I live for that." He said he believed all 12 of the participating teams could perform well, and he was glad to have such a tournament that will raise the standard of baseball and promote the sport. Oh, who was born to a Chinese father and a Japanese mother, still has Republic of China citizenship even though he was born in Japan and has lived most of his life there. He spoke fondly of the Republic of China -- which is the official name of Taiwan -- saying that while he never played professionally in Taiwan, he did train in Taichung with his Japanese team in 1968. "The scene of baseball fans cheering still is vivid in my mind," Oh said. He also showed off his unique swing at the now-demolished Taipei City Baseball Stadium in 1965 and hit a home run. 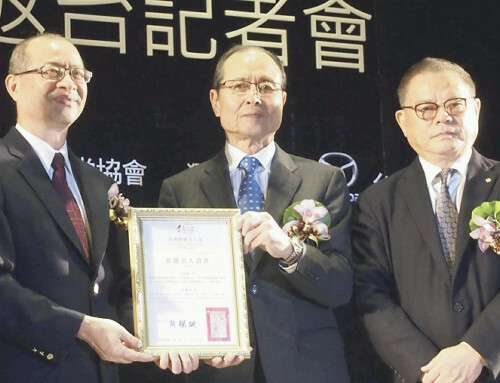 He expressed appreciation for inducting him into the Taiwanese Baseball Hall of Fame. Oh was inducted into the Japanese Hall of Fame in 1994, and he was inducted into the Taiwan Baseball Hall of Fame last year, becoming the first player to be selected into the Taiwanese and Japanese Baseball Halls of Fame.